What better way to celebrate Valentine’s Day Brought to You by Hallmark than with a little organized crime. Few characters of the 1920’s are more renowned, or infamous, as Al Capone. Building a criminal empire on a foundation of bootlegged booze barrels, by 1929 he was one of the most powerful men in Chicago. 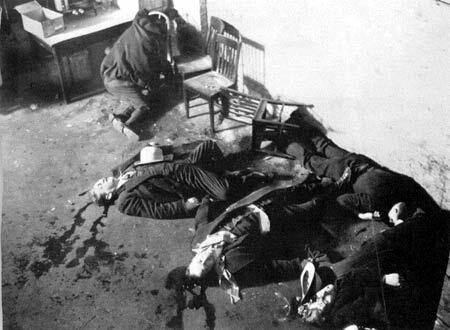 Capone’s Italian gang ruled the South Side of Chicago but the rival German/Irish gang of George “Bugs” Moran controlled the North Side. Moran and Capone had been rivals for years. Capone’s old boss Johnny Torrio had had Moran’s capo Dion O’banion gunned down in his own flower shop in 1924. Moran took over O’banion’s rackets and though he botched an attempt on Torrio’s life, his gun misfired, it sufficiently spooked Torrio into retirement, leaving Capone in command of the South Side. The gangland wars raged as the two mafioso vied for control of the Chicago bootlegging racket and total control of the city. Needless to say that by St. Valentines Day of 1929 no love had been lost between Capone and Moran. Capone and henchman Jack “Machine Gun” McGurn devised a plan to murder Moran by tricking him into meeting some supposed rum runners at a parking garage to check out a shipment of bootlegged whiskey. Seven of Moran’s men arrived at the S-M-C Cartage Company garage on Clark St on February 14, 1929. Shortly after, five more men arrived, two dressed as Chicago police officers. Witnesses in the neighborhood were then startled by the chatter of tommy-gun fire. After several uneasy moments, the two “policemen” emerged with two other men with their hands in the air. As the situation appeared under control, no one called the police. It wasn’t until later that afternoon that a dog which had been tied to the bumper of a truck by Moran’s mechanic, alerted the neighbors that something else may be amiss. Police finally arrived to find seven bullet ridden and bloody bodies, all facing the brick wall. Shockingly, one of the victims was still alive and was rushed to the hospital, the authorities hoping to glean some information from him. When attempting to question him, the only response they got was something along the lines of, “I ain’t sayin’ nothin’.” The gangster who was shot in the back by rivals refused to give up any information about his murderers, adhering to the mafia code of silence, omerta. What had happened here? Why had seven members of one of Chicago’s most powerful gangs, no doubt well armed, allowed themselves to be disarmed and shot and in the back? The answer is simple. With Moran’s thugs waiting for the supposed shipment of booze, five of Capones men, two dressed at cops, arrived. The North Siders, assuming this to be a routine sting operation and assuming the “officers” to be relatively harmless, willingly gave up their weapons and turned to face the wall as ordered. Upon doing so, the three men in plain clothes emerged and machined gunned them down. To diffuse any panic in the neighborhood, the two fake cops would leave the garage and make a show of arresting the plainclothes men and they could make a clean getaway. Technically, this is all speculation as the only witness to survive refused to talk and the killers were never apprehended, but in all likelihood that is what occurred. 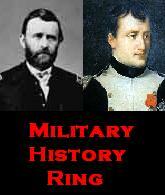 While the plan succeeded in killing seven of Moran’s men, it failed to kill the man himself. He did not arrive on time (I suppose if you’re a gang boss you’re always on time) to the garage and when he finally did arrive, he saw the stolen police car outside and, wisely, did not go in. Once he heard the gunfire, he fled. The massacre did however weaken Moran and his power quickly faded. He died in prison as a pauper in 1957. For Capone, the aftermath was damaging as well. He was probably at the zenith of his power at that point, but the pogrom served to increase his notoriety, not necessarily a good thing for a gangster, especially with the federal government. Though he was never charged for the murders, he was in Florida at the time, there was little doubt, among law enforcement and the public, that he was behind it. This was in part to Moran’s statement to a newspaper, “Only Capone kills like that!” The federal government doubled its efforts to put Capone behind bars by whatever means it could, and he was eventually convicted of tax evasion and served seven years of an eleven year sentence, much of it on Alcatraz. After his release he lived in Florida, his criminal empire withered from the repeal of Prohibition and his mind deteriorating from the affects of syphilis. He died in 1947.